There’s no rule that says a car has to be beautiful to be eligible for Collectible Classic status. 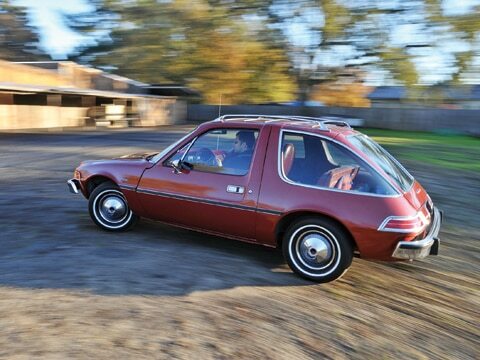 The AMC Pacer isn’t beautiful. It’s definitely different, though, and people notice it. Behind the wheel, you’re an instant celebrity. Other drivers honk, wave, and smile. The Pacer – ugly, cute, or anything in between – spreads happiness like flowers and confetti wherever it goes, and it generously clears our magazine’s “No Boring Cars” hurdle solely by virtue of how it looks. Ironically, it’s what’s inside the Pacer that actually defined its shape. The “first wide small car,” as it was marketed, was designed from the inside out to accommodate four adult passengers in comfort. 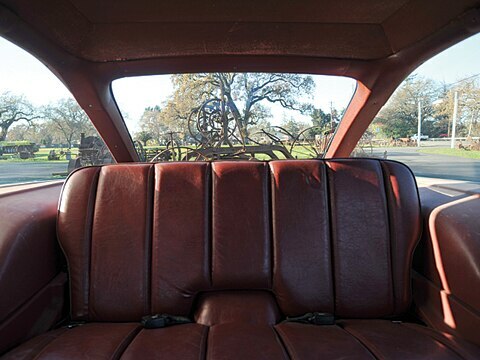 This unique philosophy gave the Pacer its unusual proportions: at 171.5 inches long, the two-door hatchback is shorter than a , but its staggering 77-inch width is as robust as many contemporary full-size cars. 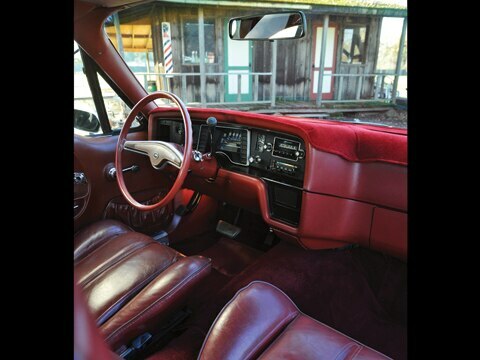 To ensure great visibility, the Pacer was given an unusually low beltline and enormous windows – more than one-third of the hatchback’s exterior surface area is glass, and the door windows are so tall that they can’t roll down completely. 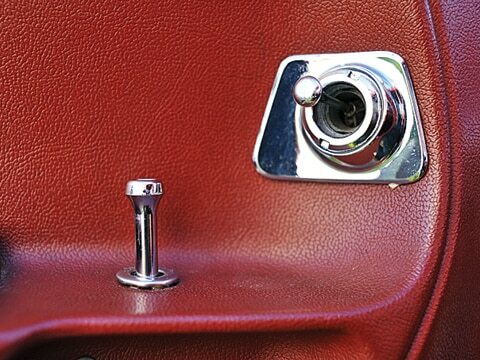 To aid entry into the back seat, the passenger-side door is almost four inches longer than the driver’s. The Pacer’s propulsion system was also supposed to be unconventional – AMC originally designed the car for a rotary engine that General Motors was developing. Unfortunately, GM dropped the rotary due to insurmountable emissions and fuel-consumption problems, so AMC instead installed its own in-line six-cylinder engines. It was a tight fit, with the rear two cylinders shoehorned under the windshield, but it worked. Two sixes, displacing 3.8 and 4.2 liters, were offered initially. 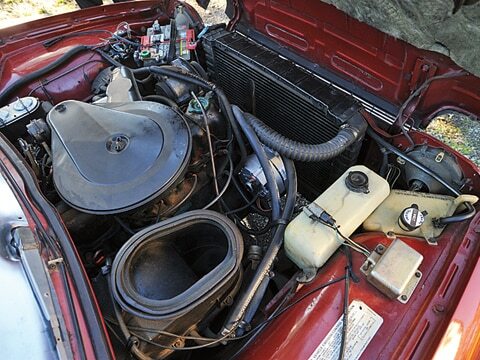 These were not powerful engines – breathing through single-barrel carburetors, they produced somewhere between 90 and 100 hp (AMC made no mention of output in its marketing materials, and quoted output varies by source). A two-barrel carburetor later became available on the larger engine, increasing power to 120 hp. A 5.0-liter V-8 was eventually crammed under the hood as well. Presumably in the interest of a low base price, standard equipment on the Pacer included, um, four wheels but not much else. The seats were not adjustable for rake. The headliner was practically cardboard. There was no rear defroster. Each of the wheels had a drum brake, and power assist was optional. The standard transmission was a column-shifted three-speed manual. 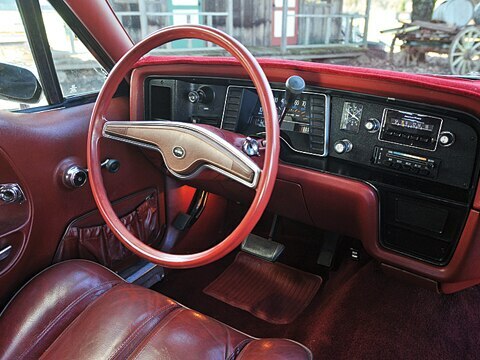 The Pacer’s unassisted steering required nearly six full turns of the wheel to get from lock-to-lock. The optional power steering had a quicker ratio, but it was overboosted to the point of absurdity. The Pacer did have many available options, and magazine road testers were put behind the wheels of Pacers loaded with enough equipment to nearly double the price. Air-conditioning was a particularly popular add-on due to the Pacer’s heat-trapping greenhouse. The Pacer’s mission was to transport four people in comfort, though, and in some respects it did that well. The automatic’s shifts are smoother than those of many modern gearboxes, and although the engine’s location under the dash transmits the pitter-patter of the rearmost cylinders, the smooth six never sounds hurried or harsh. The cockpit is wide up front, but the rear seats’ location between the rear wheels reduces aft shoulder room. 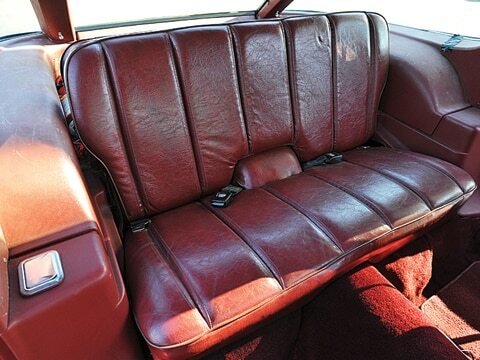 Trunk space is modest in the coupe, but a wagon, added in 1977, addressed that shortcoming. The wagon was less than three inches longer than the coupe, but its less severely raked rear end and reduced glass gave it a big boost in cargo capacity. In 1978, the Pacer’s styling was updated, with a raised, trapezoidal grille replacing the previously rectangular, horizontal grille. 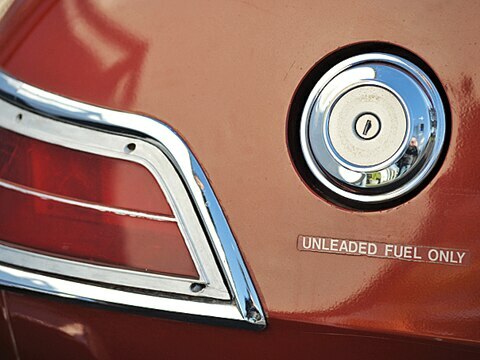 The face-lift didn’t do much to rejuvenate sales, which had peaked in the 1976 model year but then fell by at least 50 percent each year afterward. It seems that the Pacer’s futuristic styling had a very short shelf life once the public got used to seeing the bubble-shaped curiosity on the street. And word had gotten out about its hothouse interior. For some, however, the love affair with the Pacer has been anything but short-lived. The car you see pictured here is lovingly cared for by Nolan Dehner of Windsor, California. 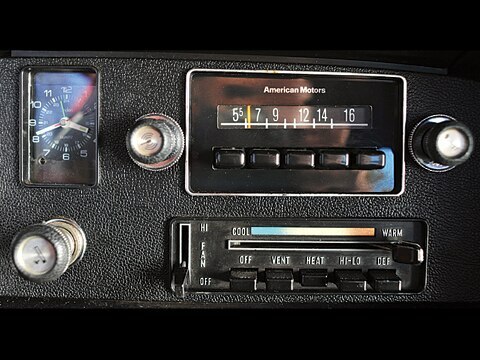 He bought this 1976 D/L coupe after a cross-country trip a decade ago, during which he noticed several Pacers. Dehner wanted one because the Pacer was so rare, and he loves the way it looks. Mention that the Pacer has won just about every “ugliest car of all time” award, and Dehner gets upset. “It’s not ugly,” he insists. You might think him unsound, but other drivers on the road demonstrate their support with smiles and waves. “I love all the thumbs-up,” he says. 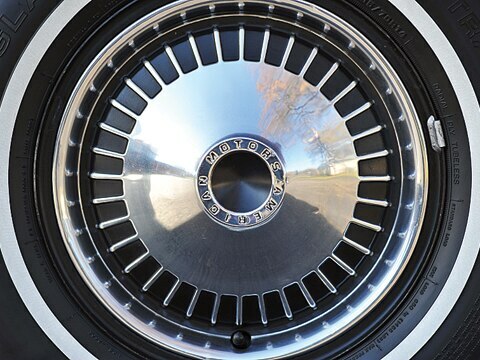 The gentleman has a point – how many people give nods of approval to passing Pontiac Azteks? To tell the world you have a sense of humor. 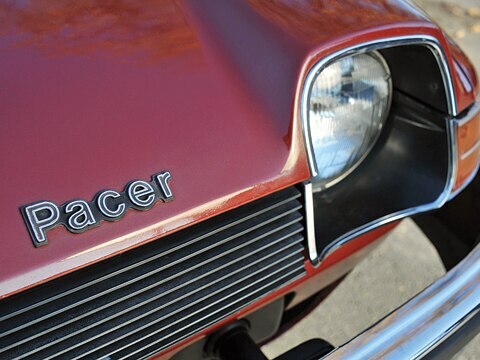 If we’re being honest, the Pacer doesn’t drive all that well – but it sure does look groovy. Driving a Pacer is like sitting in a mobile fishbowl, and it looks like nothing else on the road, inspiring curious glances from everyone. The wagon has slightly more conventional styling, but if you’re going for a visual statement, the coupe is the better choice.